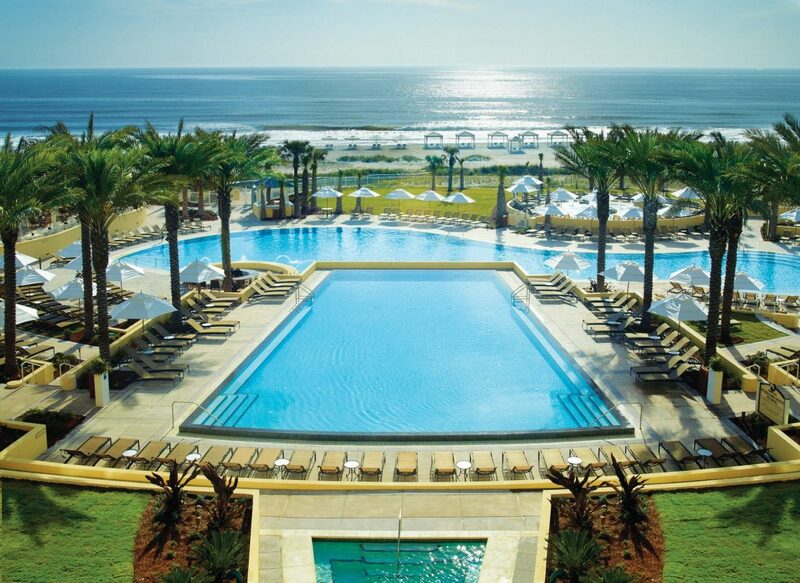 Water is integral to the amenities offered by every premier resort in the world. 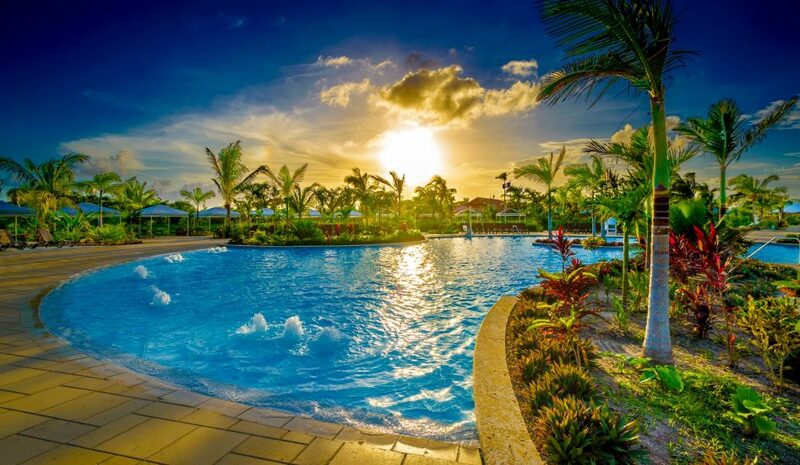 We can create poolscapes to enhance any resort so that guests will want to return time and again. We can design pools for any specific use or a flexible pool that suits many uses: adult leisure, activity, or wellness. Our resort amenities transform poolscapes with large-scale designs that can incorporate lazy rivers, sun shelves, zero entries, slides, wet play structures, and spas. Understanding a resort’s clientele is the first step in planning its aquatic amenities—whether it is a new hotel development, or a renovation to an existing resort’s pool area. In our more than 30-year history of designing pools, we have seen the changing trends in hotel guest expectations and have guided resort owners through the design process to appeal to their core demographic of travelers. From family-friendly zero entries and slides to luxurious sun shelves for the upscale brands, our team incorporates a mix of features that is both appropriate for the target audience and mindful of the overall project budget. ADE’s creative studio uses realistic project renders and conceptualizations to paint a complete picture of how a perfect poolscape can complement a resort’s ambience. When it comes to translating the design into fully engineered construction documents, ADE’s team of experienced professionals performs every calculation to ensure a pool’s optimal safety and operation. We understand that hotel operators cannot afford for their major amenity to be closed for maintenance, which is why we specify the most efficient pool equipment with a sustainable long-term cost savings to boot. Every set of drawings is carefully reviewed by our team of aquatic engineers so that owners can rest assured all the technical aspects of their new amenity are handled. The construction site on a hotel’s property can be problematic, especially if guests are still occupying rooms during the work. ADE’s team of project managers oversee the critical elements of the pool’s construction during routine site observations, while reviewing submittals, coordinating in-the-field changes, and participating in site reviews. We have the construction management experience to help every project stay on schedule and get the feature open to hotel guests. All of the aquatic amenities we have ever designed for resort poolscapes catered to the hotel’s target audience and reflected its brand—from a sand-bottomed pool at a family-friendly coastal-themed resort, to a rock face for cliff jumping inspired by a Caribbean landmark. For each one, our team rose to the challenge of creating a custom resort pool that fit the brand identity of the hotel and provided the owner with an iconic pool amenity. Let us help you design the perfect fit for your resort pool vision.